DALLAS, Thursday, Nov. 21 – With the holiday season around the corner, the American Heart Association (AHA) is unveiling its first-ever online recipe hub where consumers can search for and bookmark favorite heart-healthy recipes in one simple location. Available in both English and Spanish, the new recipe hub is hosted nationally by Fresh Avocados – Love One Today® and features more than 350 American Heart Association recipes, complete with nutritional information, and more than 100 short videos that highlight cooking techniques, hacks and tips. And this holiday season, the hub can simplify holiday meal planning for friend and family feasts. The new hub allows users to create personal profiles where they can build customized recipe boxes, find, sort and rate recipes, as well as share tips and recipes via social media. It also offers a sophisticated search capability to find recipes with one’s favorite ingredients or exclude recipes with ingredients that one may be sensitive to or simply dislikes. 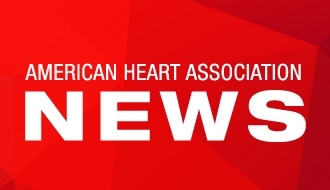 The features in the new recipe hub are also supporting the AHA’s Simple Cooking with Heart Program, funded nationally by Walmart Foundation, which focuses on improving nutrition by equipping consumers with cooking skills to cook more often at home. The recipe hub supports AHA’s newest campaign, +color, and provides consumers with another tool to help make smarter, healthier eating choices. The +color initiative emphasizes the focusing on the positive health impact of fruits and vegetables. Heart disease is the number one killer for all Americans and stroke is the fifth leading cause of death. Hispanics and Latinos, however, face even higher risks of cardiovascular disease because of high blood pressure , obesity and diabetes. There is good news in the fact that a few simple lifestyle changes can reduce the chances of getting these diseases, and one of those changes can be as simple as cooking heart healthy recipes. The hub is located on the American Heart Association’s website, heart.org/recipes. The Hass Avocado Board (HAB) is an agriculture promotion group established in 2002 to promote the consumption of Hass Avocados in the United States. A 12-member board representing domestic producers and importers of Hass Avocados directs HAB’s promotion, research and information programs under supervision of the United States Department of Agriculture. Funding for HAB comes from Hass avocado producers and importers in the United States. For recipes, tips and more information, visit www.LoveOneToday.com or follow HAB on Facebook, Twitter, Pinterest, Instagram and YouTube.